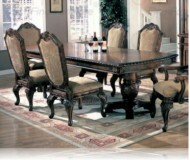 Dimensions:22W x 26D x 42H in. 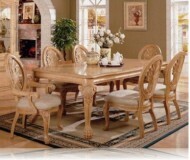 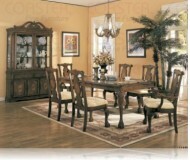 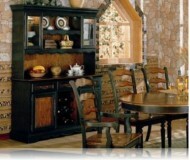 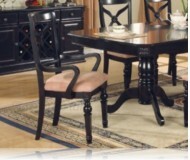 Add a touch of class to your dining room with this beautifully designed two toned hand finished collection. 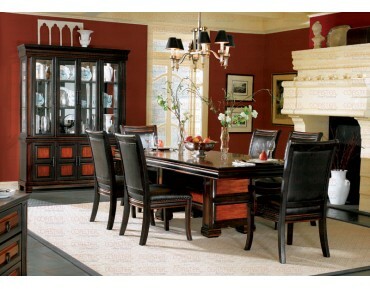 The Rosalinda dining set features raised panel drawer fronts, bull nose hardware and felt lined top drawers. 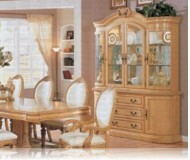 Made of Birch solids and veneers. 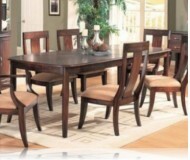 100% leather seating where the body touches.